It is also a side that never looks beyond the next game, meaning all its thoughts for the moment are on Australia, which it faces at Nissan Stadium on Saturday. “As much as we are loving being here we haven’t thought much about (Japan) in terms of the game coming up. That’s just us,” Foster said. 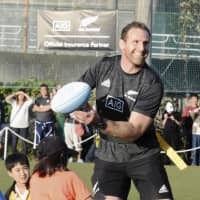 That desire to take one game at a time will, Foster said, be equally important next year in Japan when the All Blacks look to once again get their hands on the Webb Ellis Cup. 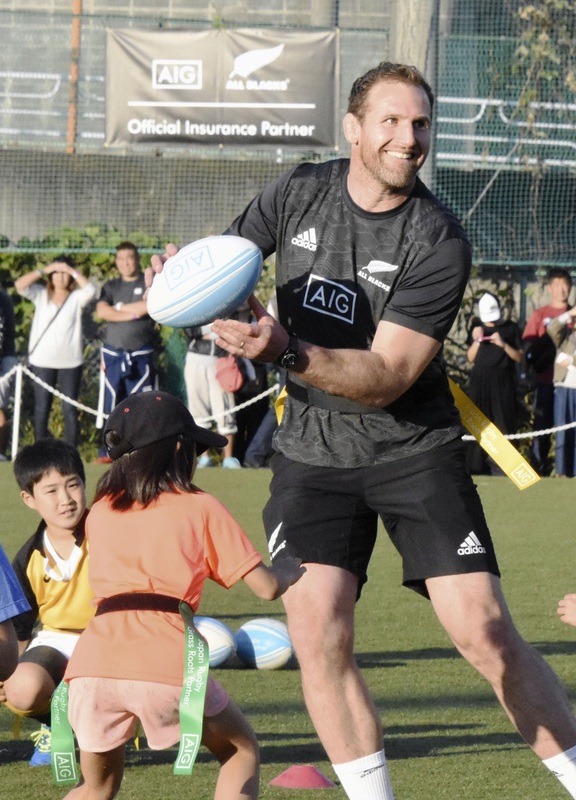 The All Blacks have not lost two successive games since 2011 — a run of 99 tests — so the chances they fall twice while in Japan, even with a weaker side against the Brave Blossoms, is slim to say the least. After the test against Australia, 22 of the 32 players on the main squad will head to Europe with an additional 19 players flying in to prepare for the game against the Brave Blossoms. The additional players, 10 of whom are uncapped at test level, will then return home while the main squad members travel on to London to rejoin their teammates ahead of matches against England, Ireland and Italy. Saturday’s Bledisloe Cup game at Nissan Stadium kicks off at 3 p.m., while the All Blacks-Brave Blossoms match on Nov. 3 at Tokyo’s Ajinomoto Stadium gets underway at 2:45 p.m.
Japan warms up for its clash with the All Blacks with a game on Friday evening at Osaka’s Hanazono Stadium against a World XV, with kickoff set for 7.